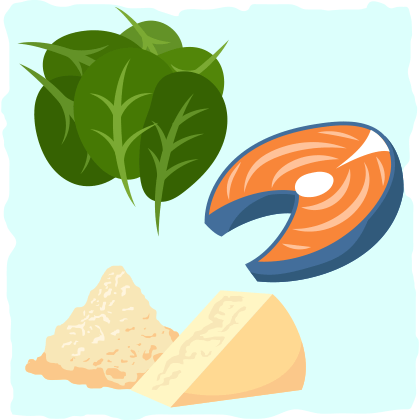 Should I Count Calories on a Ketogenic Diet? You might have been told that counting calories is not needed on a ketogenic diet because it causes more weight loss than other diets. That’s not exactly true. Would you be burning more calories than a low-fat diet? Most likely, but that’s because of your protein intake. What about high carb vs. low carb? The truth is, there are no studies that properly show a fat loss advantage between low carb and high carb diets. The thing about a ketogenic diet is if you tell people to eat as much as they want, they will tend to eat slightly less than other diets. Naturally, you will eat less if you’re eating food that can satiate you easier. You will have more fullness from vegetables, satiety from protein, feel fuller for longer from the fat, and endure higher levels of thermogenesis from unprocessed foods. So what does that all mean? In a nutshell, it means that you will eat less food and therefore fewer calories. Your body can dig into your fat stores, since you’re naturally restricting calories, and you’ll lose weight. With high carb diets, usually with a good amount of processed foods, you will see swings in blood glucose. This makes it easy for people to give in to cravings, and succumb to the “carb addiction” created from serotonin and dopamine. There are no magical metabolic advantages to a ketogenic diet. But, the small benefits that make it easier on us is also the reason that it works. Weight loss on a high carb diet: calories determine the fat loss. Weight loss on a normal carb diet: calories determine the fat loss. Weight loss on a ketogenic diet: calories determine the fat loss. Weight gain on a high carb diet: calories determine the fat gain. Weight gain on a normal carb diet: calories determine the fat gain. Weight gain on a ketogenic diet: there’s no scientific data. If only there was some sort of pattern here. Keto might be magic, but as far as I know there are no studies that support this idea. The scientific consensus is that eating too much will make you fat. It doesn’t have to be some obsessive practice, to the point where you’re always counting exactly how much energy you are taking in, but used more as a tool. You can get a food scale to properly track your intake for a few weeks to get an idea of your baseline. After you have rough estimates, you can gauge what you should and shouldn’t be eating. While you don’t have to be 100% accurate, you can use calorie counting as a starting point. It’s a way to measure how much energy you are actually taking in, and then adjust it to your needs. Obviously, a faster/slower metabolism, activity levels, endocrine problems, etc. will affect the amount of energy you will be expending, and therefore will affect the number of calories you need to take in. This leads to a theoretical weight loss of 1 lb per week (3500 kcal per pound of fat). If you ate 1300 calories on keto and lost 2 lbs in a week, you’d have to use 1000 calories from fat stores. That means that 1000 calories of expended energy are external of your diet a day, for 7 days. If that isn’t the case, the formula does not work. It just doesn’t work in math, and it also doesn’t work in physics. So for keto, or any diet for that matter, to lead to more weight loss – you have to get to a higher energy expenditure of calories for it to hold true. This means increasing your metabolic rate, increasing activity levels, etc. So, how many calories should you actually eat? Well obviously that will be different from person to person based on current weight and the current state of their endocrine system. To be short, you never want to go into a caloric deficit that is lower than your fat stores can handle. How many calories are covered by your fat stores? I went into more depth in this in a previous article, but you can get about 31.4 calories per pound of fat per day. That means if you’re 220 lbs (162 lean mass , 58 lbs fat) you can get about 1821 calories from fat stores. There are a number of self-reported studies that people have been using to “debunk” the whole calorie-in vs. calorie-out debate. The problem with these is that they are usually misconstrued and presenting incorrect information. We might take a look at Volke’s study, which is free-living and self-reported. It’s a short-term study that only allowed 21 total days to be counted, where the induction time of ketosis would cover half of the time the study was carried out. James Krieger also published a meta-analysis of low-carbohydrate and weight loss which he has since claimed is unreliable and most likely wrong. As the knowledge and science improve, our perspective is changing. Some may argue that the calorie is a poorly derived unit of energy, which also poorly translates across carbohydrates, fats, and proteins. This simply isn’t the case. We understand how cell respiration works, and there are numerous studies on how it works. Counting calories has shown to be accurate. There’s a large database that exists on the energy expenditure. This study shows that the energy expenditure is actually similar to the recommendations adopted by FAO and WHO. These recommendations have been adopted because studies have been done on these units, and confirmed that these are good approximate values for human digestion and utilization. 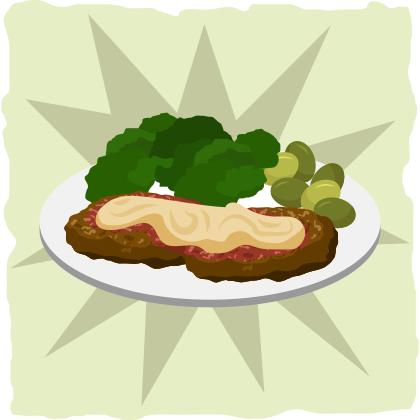 Some people are saying that we will excrete excess nutrients if we don’t use them – in terms of protein and fats. This study shows that we will only excrete about 3 grams of fat when we eat 2800 calories a day (50% being from fat). Another study shows that over a 14 day window and multiple diets (high fat, low fat, starvation, overfeeding, etc.) 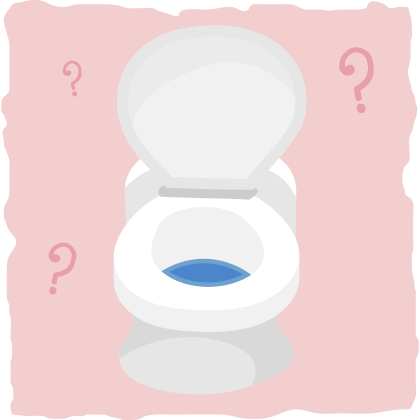 the amount of nutrients lost from excretion is only about 4% of the diet. We don’t just excrete the nutrients we eat; the energy we eat gets absorbed and used or stored in the body. Let’s take a look at what Gary Taubes has said, as I know people will be thinking of him as they read this article. Twenty calories a day times the 365 days in a year comes to a little more than seven thousand calories stored as fat every year—two pounds of excess fat. If it were true that our adiposity is determined by calories-in/calories-out, then this is one implication: you only need to overeat, on average, by twenty calories a day to gain fifty extra pounds of fat in twenty years. You need only to rein yourself in by this amount—undereat by twenty calories a day—to undo it. Twenty calories is less than a single bite of a McDonald’s hamburger or a croissant. It’s less than two ounces of Coke or Pepsi or the typical beer. Less than three potato chips. Maybe three small bites of an apple. In short, not very much at all. Twenty calories is less than 1 percent of the daily caloric intake that the U.S. National Academy of Sciences has recommended for a middle-aged woman whose idea of regular physical activity is cooking and sewing; it’s less than half a percent of the daily quota of calories recommended for an equally sedentary middle-aged man. That it’s such an insignificant amount is what makes it so telling about the calories-in/calories-out idea. The fatal flaw in this reasoning is that we don’t have the same energy expenditure as our fat mass increases. I just want to point out that the calories in/calories out system don’t claim to predict exact energy expenditure, weight gain, or weight loss. It’s just a system that shows how energy intake and expenditure are linked with energy storage and energy loss for the average person. Whether the system is exactly accurate down to “20 calories” or not doesn’t really matter, as that’s not the intended purpose. What it does is give a reference point for people to individualize their intended weight loss. If we get bigger, if we get fatter, if we get heavier we have to take in more calories. There’s absolutely no doubt about it. And if we want to get lighter we have to expend more calories than we consume. Absolutely no doubt about it. In his book “Why We Get Fat”, chapter six: “Thermodynamics for Dummies, Part 1“. Health experts think that the first law is relevant to why we get fat because they say to themselves and then to us, as the The New York Times did, “Those who consume more calories than they expend in energy will gain weight.” This is true. It has to be. To get fatter and heavier, we have to overeat. We have to consume more calories than we expend. That’s a given. But thermodynamics tells us nothing about why this happens, why we consume more calories than we expend. It only says that if we do, we will get heavier, and if we get heavier, then we did. Although Taubes thinks that calories matter, He, as well as other low-carb proponents like Dr. Lustig and Dr. Fung, believe that something else plays a more prominent role in causing obesity. That “something else” is commonly referred to as the insulin theory of obesity. The insulin theory of obesity, in short, declares that the primary cause of obesity is higher carbohydrate diets because these diets increase insulin secretion more than any other diet. When insulin levels are high, fat storage will increase significantly and “starve” muscles and organs of energy. This causes increased hunger and overeating that results in obesity. The reason why low-carb diets work, according to this theory, is that the lowered levels of insulin (caused by restricting carbs) allow for the body to begin metabolizing fat and increase energy expenditure. Some proponents of the theory think that the reason restricting carbohydrates works is because of a “metabolic advantage” (i.e., a person on a low carb diet burns more calories than a person eating a diet higher in carbohydrate). The best part about the insulin theory of obesity is that we can conduct experiments that can, beyond a reasonable doubt, figure out if this theory holds any merit. All we need is someone to look at the results from all of the studies that compare low-carb with low-fat diets with calories and protein intake matched. In 2017, Drs. Kevin Hall and Juen Guo published what may be the first meta-analysis of controlled feeding studies that compared diets of equal calorie and protein content but differing in carbohydrate and fat content . They made sure only to include studies in which all of the food was provided by the researchers. With these criteria, Drs. Kevin Hall and Juen Guo were able to ensure that confounding variables like the thermic effect of protein and subjects self-reporting their calorie intake wouldn’t muddle up the findings. After examining the data, only 8 of the 28 studies in the meta-analysis reported that lower-carbohydrate diets led to a higher energy expenditure than higher-carbohydrate diets, and among those 8, the results were only statistically significant in four. Regarding higher-carbohydrate diets, 20 studies reported higher energy expenditure, and this increase in energy expenditure was statistically significant in 14 of those studies. Overall, the evidence suggests that the carbohydrate and fat content of the diet has little impact on energy expenditure. In other words, low-carb diets do not have a significant metabolic advantage like many insulin theory proponents believe. Given this new meta-analysis, it’s safe to say that low-carb and high-carb diets with protein matched have similar effects on energy expenditure and body fatness. However, this doesn’t mean that the insulin theory of obesity is entirely wrong — these results simply suggest that the theory carries much less significance than calorie intake in general. The truth is that you shouldn’t expect to alter the carbohydrate-to-fat ratio of your diet to work magic on your metabolic rate and weight loss. Instead, you should focus on a diet that controls your calorie intake effectively and sustainably. One of the best ways to control calorie intake is by eating protein-rich and fiber-rich foods because of how satiating they are and eliminating all calorically dense processed foods from your diet because of how easy it is to binge on them. If you think about it, one of the diets that follow these principles is the low-carb ketogenic diet. It focuses on highly-satiating foods like meat and low-carb vegetables while cutting out all processed, carb-ridden, and highly-palatable foods. By eating in this way, most people experience tremendous amounts of fat loss — not because insulin levels dropped or the body got a metabolic advantage from burning fat, but because keto dieters tend to eat significantly fewer calories than before without realizing it. While it does matter the number of calories you eat, we rarely need to look at this. Why? Because the amount of satiety brought to us from what we eat will naturally restrict the amount of calories we are eating. 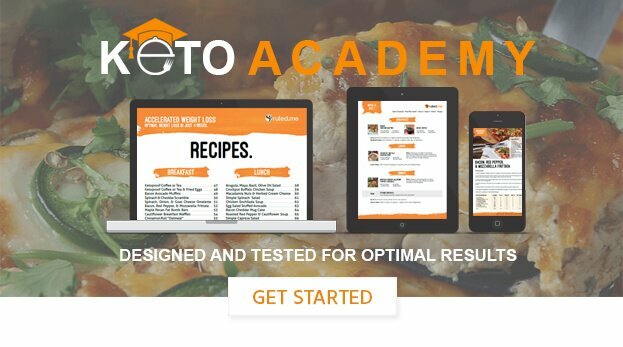 Does this mean you can eat however much you want and never gain weight on a ketogenic diet? Of course not. If you are overeating with calories, you are going to put weight on, simple as that. If what you are doing is working, then keep doing it! I just wanted to make the point clear that calorie counting is necessary for some people, and it is a vital part of the weight loss process. As always, I’d love to hear your personal thoughts on this in the comments below!